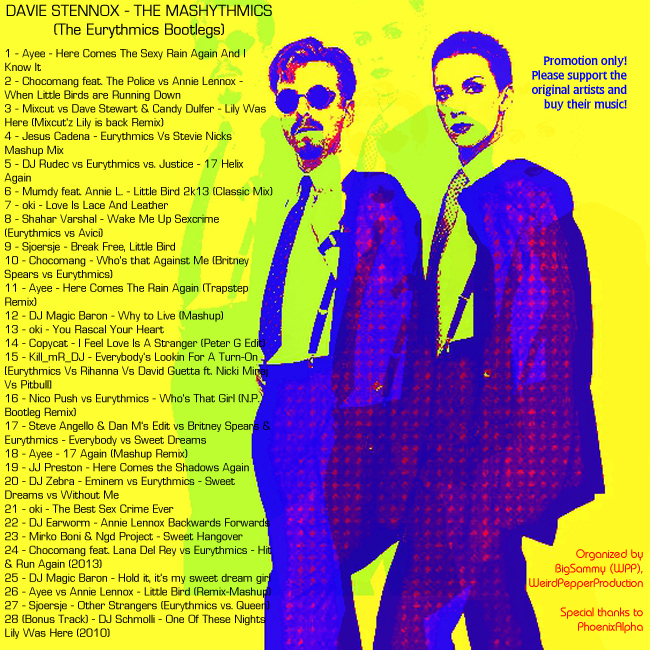 This is the best Eurythmics mashup album ever. That first link works great. I'll be listening soonest, & commenting. It's great to see a sequel! Congrats! A refresher listen reminded me how splendid this collection is. I liked them all, with about 7 being especial favorites. @Chocomang- Your tracks were all in the 7 faves. I say WOOOOT! The more, the merrier. Thanks for the tease. 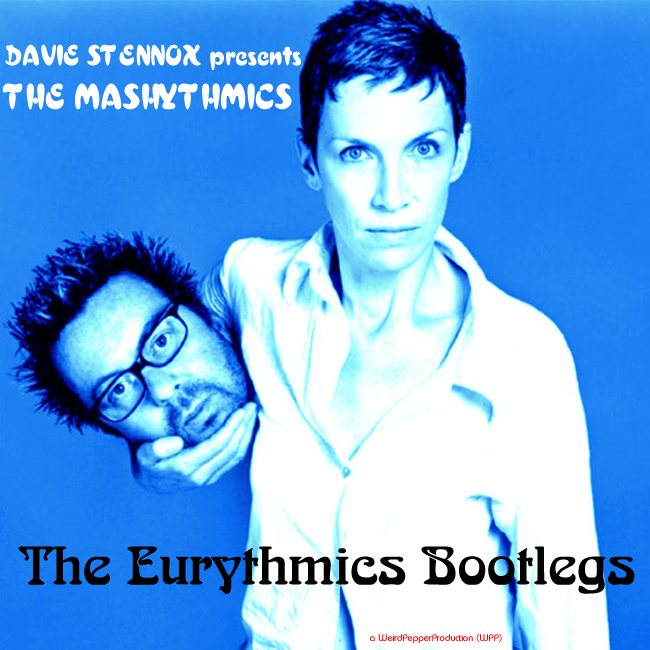 Davie Stennox - The Mashythmics II (The Eurythmics Bootlegs Rebooted - 2014) out now! 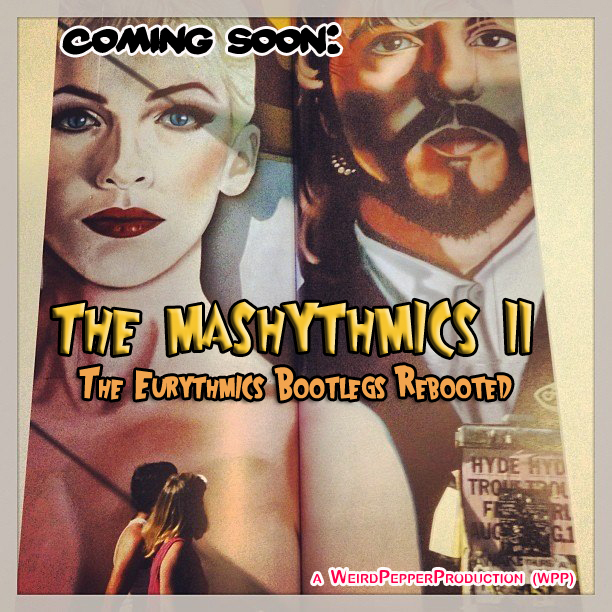 So far - then we made Mashythmics II. And it looks like both editions are what Eurythmics fandom was waiting for. I'm proud to be a part of it! Take ze bow, for both projects. I certainly feel the benefit. Goodwork everybody who put time into this project.